Niemann Design created the concept and branding design for Black Diamond Crapemyrtles. The crapemyrtles are a unique, colorful blooming tree with black foliage. The branding is as unique as the plants themselves. Niemann Design created a distinctive logo that represents the tree and diamond in multiple ways. This logo is used as a pattern that provides an additional branding element as well as a common visual cue running throughout their materials. 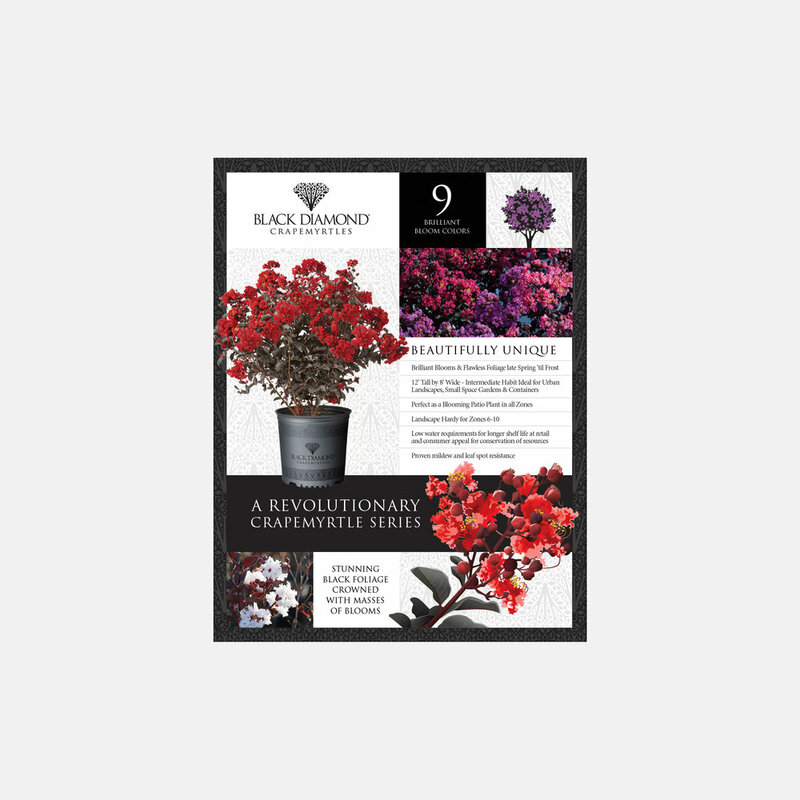 A strong focus of the Black Diamond Crapemyrtle brand is the use of illustration. These highlight the variety of beautiful bloom colors as well as the black foliage. 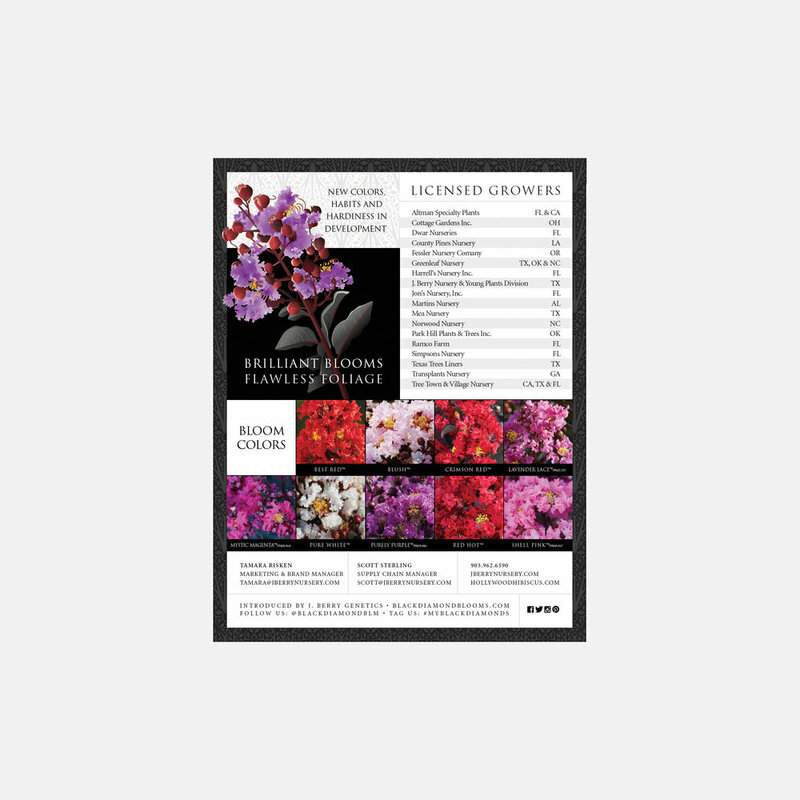 It allows the customer to see how extraordinary the blooming crapemyrtle will look at any time in its growth process. This approach is unique in the industry and makes all of the marketing materials really stand out from the competition. The strength of the brand is embodied in a variety of applications including tags, literature, banners, signs, websites, social media, amazing trade show displays and more. 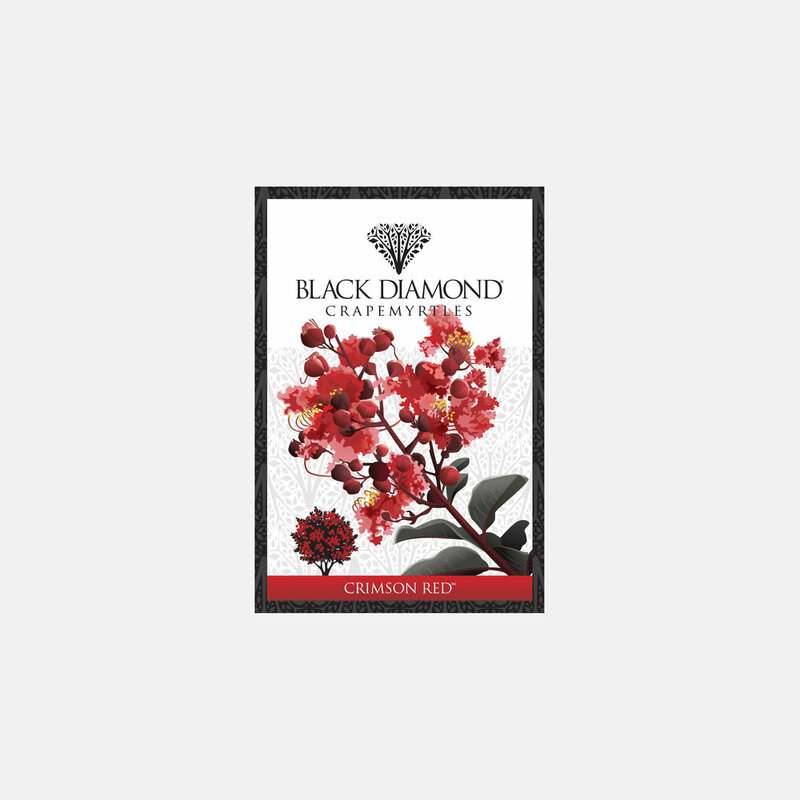 The strong roots of the brand, the wealth of targeted marketing initiatives and the fantastic plant itself have made Black Diamond Crapemyrtles an enormous success with sales in full bloom across the country and around the world.